The AB Inbev logo at its headquarters in Leuven, Belgium in 2011. The new line has created jobs for 14 people, mostly women, and another 40 people are expected to get jobs when it operates at full capacity. South African Breweries (SAB) and AB InBev Africa today launched a R438 million production line at its Ibhayi Brewery based in Port Elizabeth. The multi-million rand investment is over and above the public interest commitments (PICs) made by AB-InBev to the South African government at the time of its business combination with SABMiller at the end of 2016. 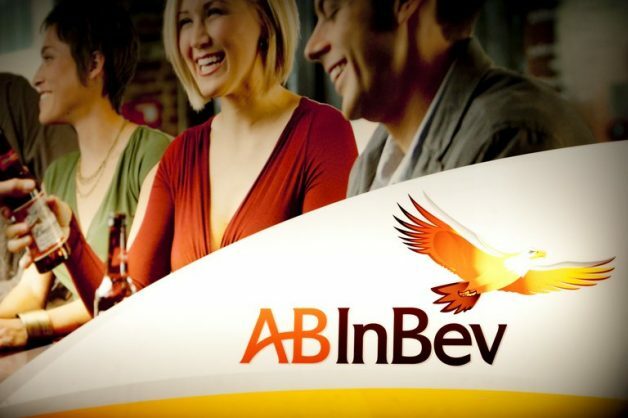 The PICs involves AB InBev investing R1 billion in South Africa over the next five years in the areas of agriculture, entrepreneurship and societal benefits. Zone President at SAB and AB InBev Africa, Ricardo Tadeu, said: “Fixed investment which leads to confidence is one of the key components needed to drive economic growth in a country. In turn, this helps to create jobs and encourages foreign investment, which is not going to happen if domestic investment does not take place. There are now two production lines at the Port Elizabeth-based brewery. Tadeu said the new line has created employment for 14 people, mostly women, who operate the line over several shifts. Another 40 people were expected to be employed when the line operates at its full capacity and volumes are increased over the coming years. “This investment will empower our employees to do what they do best, brewing the best quality beer, innovating and ensuring that we do so in a way that will drive sustainable growth,” said Tadeu.